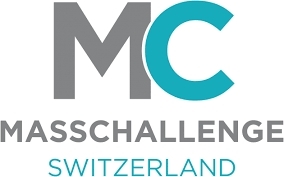 MassChallenge today unveiled more than 70 finalists for the 2016 accelerator program to be held near Lausanne this summer. This year’s class was selected from more than 450 applicants across a diverse range of industries and geographies, including 14 countries and from around Switzerland. 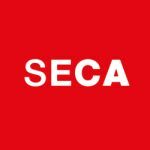 51 finalists from Switzerland have been nominated. These will head to Lausanne for access to global network and world-class resources. Together with 70 of the world’s top entrepreneurs and investors from UBS, Waypoint Capital, VI partners and Beyond Investing, MassChallenge Switzerland has selected 70 finalists, including 51 Swiss startups, to make up the first cohort of 2016. As part of the accelerator, the finalists will have the opportunity to engage with high-profile speakers, expert mentors, and a global network of support throughout high-level corporate and governmental connections during the four-month program. Startups will also have free access to co-working space, wet lab, industry resources, and the prototyping lab located at UniverCity, the Renens open laboratory based in the upcoming Ateliers de la Ville de Renens, Vaud. Blurred: the easiest way to make the first move while keeping a part of mystery: 15 messages to show who you are really are. Cellphmed: sells the most comprehensive cell identity and quality assessment with broad personalized health applications. Darix: Vizir combines thermal vision and augmented reality to give fire fighters a clear vision in dark and smoky environments. Eyewear: enables all computers, devices and robots to understand human actions with next-generation machine vision algorithms. Gait Up SA: Gait Up makes and sells next generation wearable technology for motion analysis in the sports, healthcare and wellness industries. Hydromea: improve the knowledge about oceans and lakes by drastically cutting the measurement costs using swarms of miniature underwater robots. includeed: is a web platform that brings together employees, customers and companies around the topics of diversity and equal opportunities. Lynoe: the voice of the youth, telling our stories with a completely platform and format agnostic content delivery system. MesenFlow Technologies: A Bioimaging Platform Service dedicated to accelerating Drug Development by using proprietary hi-throughput models of human disease. MOVER: enables any furniture designer and manufacturer to create adjustable ergonomic furniture. EzeCHieL: the EzeCHiel software assists physicians to individually adjust dosage of medicines based on the monitoring of blood drrug concetration. Overtea Sagl: manufactures design and creates the first 3D baby carrier with a built in hip seat in the world. Planet Hort - learning sustainability in a playful way: Aims to integrate Education for Sustainable Development into after-school care. Rayform: integrates light redirection technology into products, allowing them to form highly detailed images when illuminated. Rheon Medical: Rheon's medical technology offers the surgeon unprecedented control over the patients intra-ocular pressure, thereby optimising treatment and reducing complication rates. ScienceMatters: ScienceMatters is a new open science initiative dedicated to publishing single, well-validated observations. SimplicityBio: uses patient data to discover signatures of complex diseases as cancer. These signatures are used for diagnostic and development of drugs. Smart Home Technology: provides better IoT solutions for business customers based on advanced technology and scientific researches. Speaksli: an engaging multi-faceted language learning platform that helps to accelerate global cultural integration and economic empowerment. spectando: Spectando offers a novel and scalable solution to create virtual property tours easily and quickly with just a smartphone. SUN bioscience: High-throughput stem cell derived organoids for personalized medicine. SwissDeCode: enables individuals to test DNAFoil to confirm their beef before eating it to building trust in the food supply chain. Technis: combines the best engineering tools and machine learning techniques to revolutionise the way we interact with the floor. TFC-Simulations: Provide a common high-tech cheap platform for all kind of simulators, with all kits needed to build a specific vehicle. TwentyGreen: produces a greener natural feed supplement for more sustainable animal farming. Xsensio: develops the first "Lab-on-SkinTM" sensing platform, to track biochemical information at the surface of the skin. WECONNEX: developing and managing sustainable, entrepreneurial and innovative projects for decentralized infrastructure development. Rethink Resource: Rethink your waste streams. Rethink offers a new market place and logistics solution that connects industries for a circular economy. Versantis: pharmaceutical company developing the first drug capture platform for the treatment of life-threatening intoxications.